This resource is a compilation of one of the greatest aspects of our monthly publications - the clinical pathways. These algorithms provide you with a quick reference and step-by-step guide to common problems you face daily when managing pediatric patients. 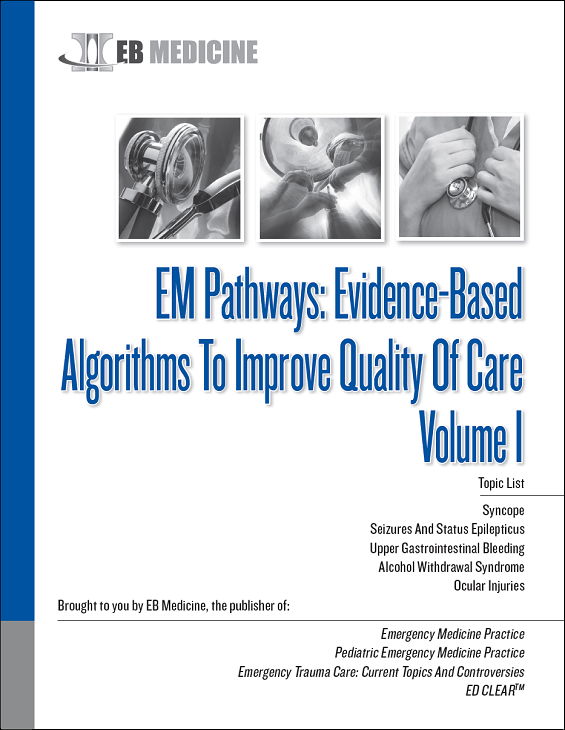 This compilation covers important clinical topics, including syncope, seizures and status epilepticus, upper gastrointestinal bleeding, alcohol withdrawal syndrome, and ocular injuries. Bonus: Additional information is provided on each topic, covering management pearls, overview of guidelines, and disposition recommendations.